After our technical sales manager Ken Kelly met with Mr. James Hurley of BD Life Sciences where a brief of the project was presented. The project required a drum store to accommodate 12 No. 200L drums of different waste product to be stored externally. 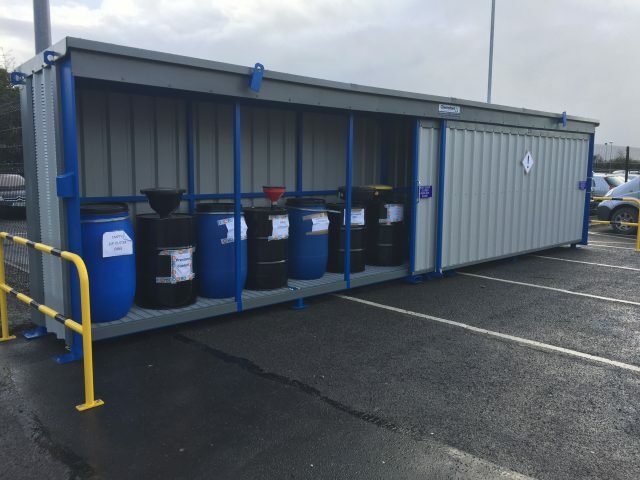 The waste product would be dispensed into the drums and await collection from the waste recycling company. 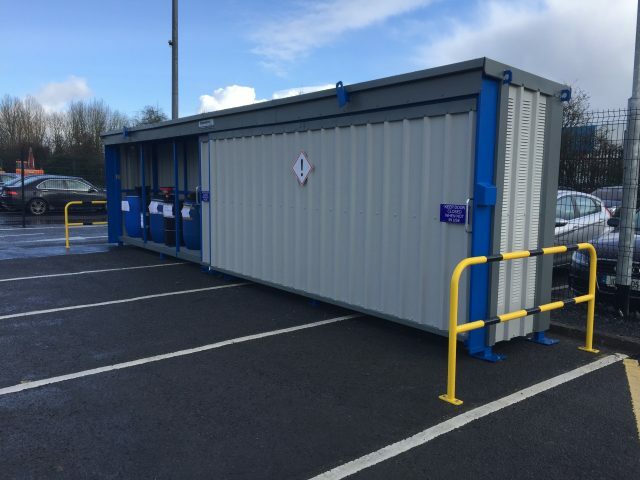 The store was required to be bunded, well ventilated and easily accessible by forklift and single depth. The store was to be fully lockable and vandal proof. Easy access for personnel on site was required as the waste is often dispensed from smaller drums using a funnel. Construction: Robust all welded 100 x 50mm steel box section frame. 1,000mm lean-to cover to the front of the store. Sump:Corrosion resistant steel sump tray fitted under floor level, capacity 1,100L (exceeds current EPA guidelines which state that the bund capacity should be a minimum of 25% of the total volume to be stored). Floor: Removable hot dipped galvanized grid mesh floor. 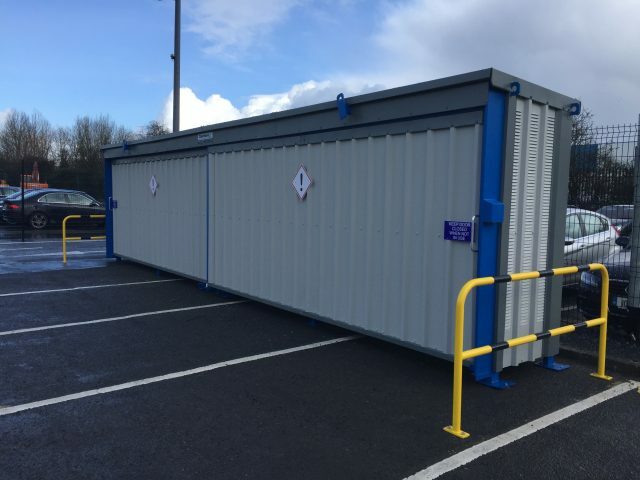 Lifting: Unit is fitted with forklift channels and roof-fixed crane lifting points to allow for easy unloading and relocation if required. Access: Twin Sliding access doors provide access to 6 drums at any time. Ventilation: Louvred cladding panels ensure airflow throughout the store. Wall/Roof Cladding: The profiled, single skin cladding is fabricated from a Zintec based, corrosion resistant alloy which is then Plastisol coated. Choice of colours. Standard colour: Goosewing Grey.